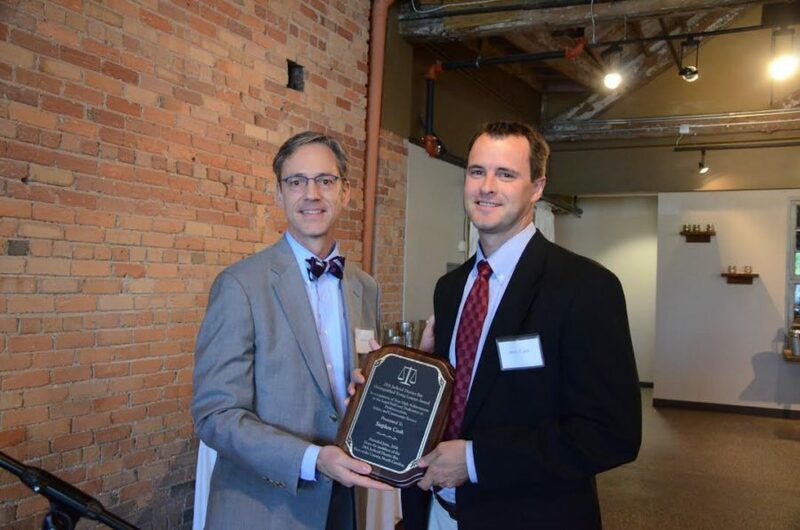 We are delighted to announce that CBSJC lawyer, Steve Cash, has won the Distinguished Young Lawyer Award for the 28th Judicial Bar District. Created in 2016 by President Bradley Stark, the award recognizes a distinguished young lawyer who is a member of the 28th Judicial District. To qualify, the person must be nominated by a member of the 28th Judicial District; have been a member of the 28th JDB for less than ten years; be under 40 years old; and be someone whose contribution to the legal community and society exemplifies high achievement in the legal field along with a dedication to professionalism, ethics and community service. Better Business Bureau: Question the value of so-called “top lawyer awards” when selecting an attorney. © 2019 | Barbour, Searson, Jones & Cash, PLLC | Asheville's Experienced Trial Lawyers.